This tour lasts for almost two weeks so make sure you have enough time at your disposal. During these twelve days you will have a unique opportunity to explore Morocco as an insider, and not as an ordinary tourist. You will get acquainted with rich Moroccan culture, learn about its glorious history, see the ruthless Sahara Desert with your own eyes, ride a camel, spend the night under the starry sky in the desert in a Bedouin tent, see the mysterious snake-charmers and so on. As you see these twelve days will give you plenty of adventures you won’t ever forget. 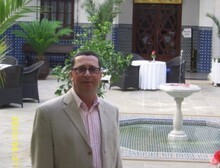 We will begin the tour in Casablanca and immediately proceed to Fes. We will definitely have a private tour in Fes and explore such places as the old medina, United Nations Square, Mausoleum of Mohamed V, the League of Arab states park and various other famous tourist attractions. As your private guide in Morocco I will be assisting you during the tour and answering all your questions regarding the places we visit, or anything concerning the kingdom of Morocco. After a thorough exploration of Fes we will proceed to the village of Merzouga. It is a very famous tourist destination due to its proximity to the desert. Sometimes it is even called as the “gateway to the desert”. As soon as we reach Merzouga we will continue our tour on the camel backs. We will also visit Boumalne with its famous Mausoleum of Moulay Ali Cherif (Rissani). Our next destination will be Ouarzazate, the so-called African Hollywood. There is a big film studio in Quarzazate, where such famous movies as “Gladiator”, “The Mummy”, “Alexander” and others were shot.